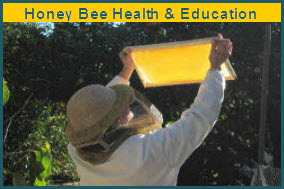 The Los Angeles County Beekeepers Association will hold our first meeting of the New Year. Join Us! See our Meetings page for details. By now you may or may not be aware that Kodua has been diagnosed with stage III ovarian cancer. I am hoping we might enlist your help in keeping her spirits up. She begins chemo treatments the end of next week. her on her Facebook page at: https://www.facebook.com/kodua.galieti. It is our wish that Kodua feels the support and care of as many folks as possible to further strengthen her resolve in her battle. We thank you tremendously for any assistance you might be able to provide. Kodua Galieti is an international photojournalist and a beekeeper. She uses macro-photography while shooting bees to show the amazing intricacies of bees. 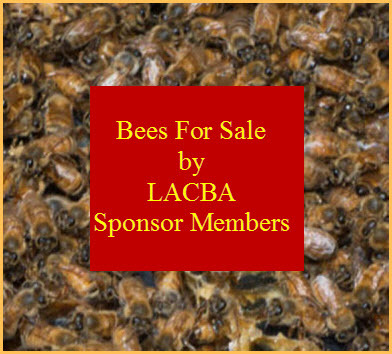 Her beautiful honey bee photography is featured throughout this LACBA website. Kodua's goal is to inspire people about the importance of the honey bee to our world. Hopefully, in the process, they will become more aware of bees and join in the quest for their survival. 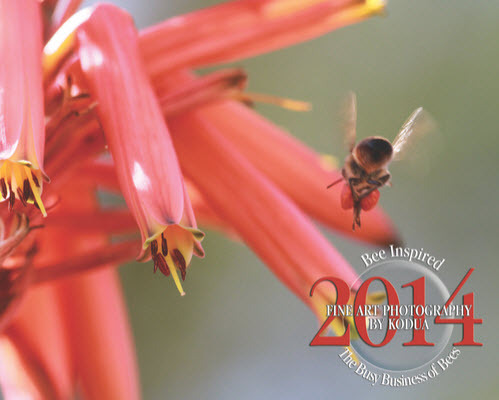 Kodua's photography adorns the walls of the LA County Fair Bee Booth, was featured on the cover of American Bee Journal and WASP magazine, and can be enjoyed at major bee conventions around the country. She’s a member of the California State Beekeepers Association, the Los Angeles County Beekeepers Association, and the Louisiana State Beekeepers Association. 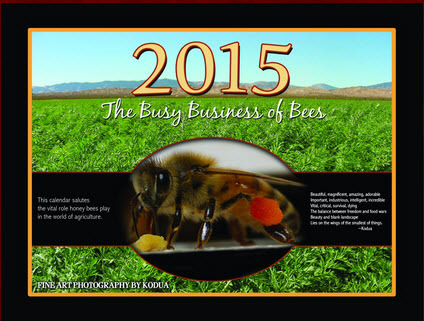 You can view her beautiful bee photography and her 2015 BEE-INSPIRED calendar at: http://www.koduaphotography.com/. Kodua Galieti, a resident of Southern California, is an international photojournalist as well as a beekeeper. Her relationship with the Creator of Life frames both her interest and the vantage point for the stories she tells through her camera lens. Kodua uses macro-photography while shooting bees to produce photos that show their amazing intricacies up-close and personal. This allows people to experience the incredible and whimsical beauty as well as the magnificent inner workings of the honey bee. Her goal is to delightfully inspire people about the importance of the honey bee to our world. Hopefully, in the process, they will become more aware of bees and join in the quest for their survival. At her website, www.koduaphotography.com, you can view and purchase her fine art photography prints. Her images are perfect for use in educational settings such as classrooms, boardrooms, or wherever you want to see the world of bees as you have never seen before. 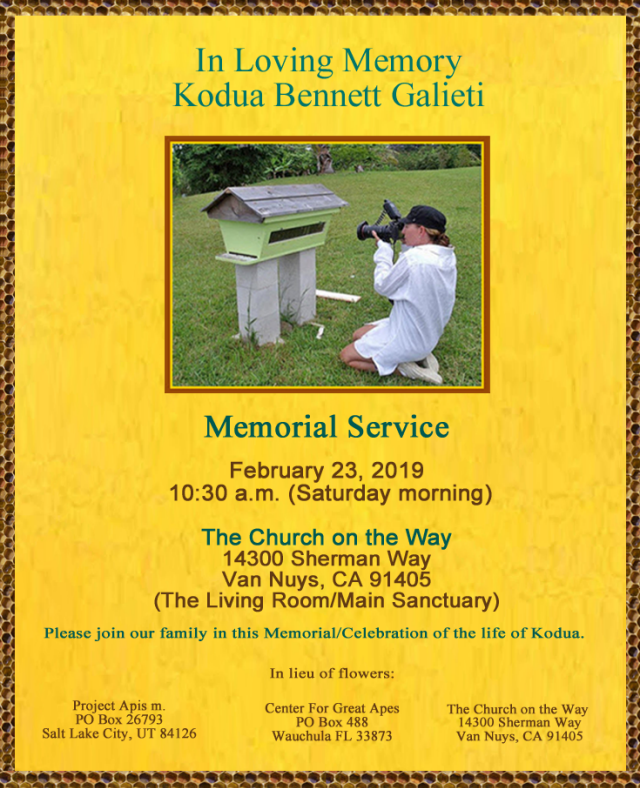 Kodua is a member of the Los Angeles county Beekeepers Association, California State Beekeepers Association, and Louisiana State Beekeepers Association. Her annual BEE-INSPIRED Calendars are eagerly awaited by beekeepers, beekeeping organizations and clubs. Bee Inspired 2014 Bee Calendar by Kodua Galieti - Now on Sale!!! Just in time for the Holidays...the gorgeous Bee Inspired 2014 Bee Calendar from Kodua Galieti. This beautiful calendar just makes you fall in love with bees all over again. Exquisite photographs, heartwarming, informative captions. Available individually or in bulk. Take a look at Kodua Photography. 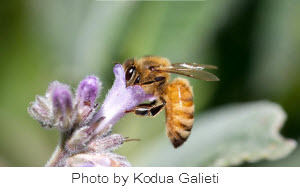 Please note that for last month's LACBA meeting we had planned on having a presentation of photo-journalist Kodua Galieti's 'Beekeeping in Israel.' However, due to lots of timely questions from the floor and other issues, we ran short of time. Then we thought we'd have the presentation in May, as noted in our April LACBA Newsletter.